Your doctor has told you to do exercise, but you don't have enough time. 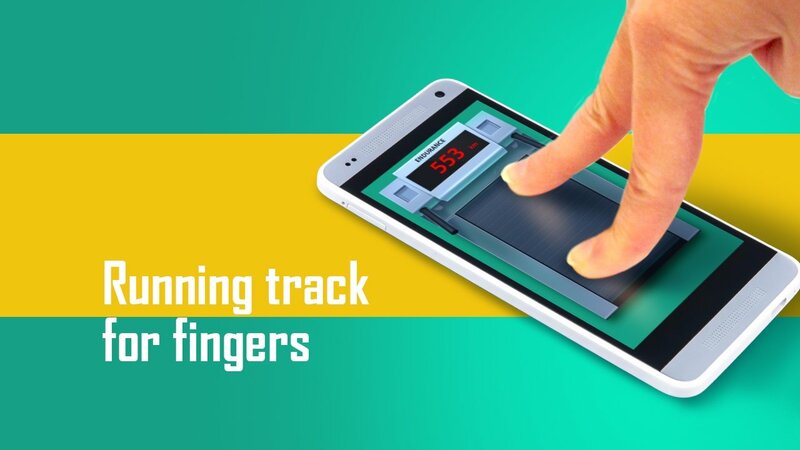 Don't worry, just install Fingers running track on your phone, the treadmill you can carry around in your pocket. Forget about the tiring gym, that's such a waste of time, and make an effort to make your fingers jog around this treadmill. An activity you can combine with any other, when you're watching TV on the sofa or having a drink of beer, for instance. No more regrets! The gym you can carry around in your pocket. Find out how much distance you've traveled. Wherever you are: on the bus, in the bar, in church, at work... get your fingers moving and boast about your records. Do your friends run with their feet? They're old fashioned... You only need your fingers with Fingers running track!